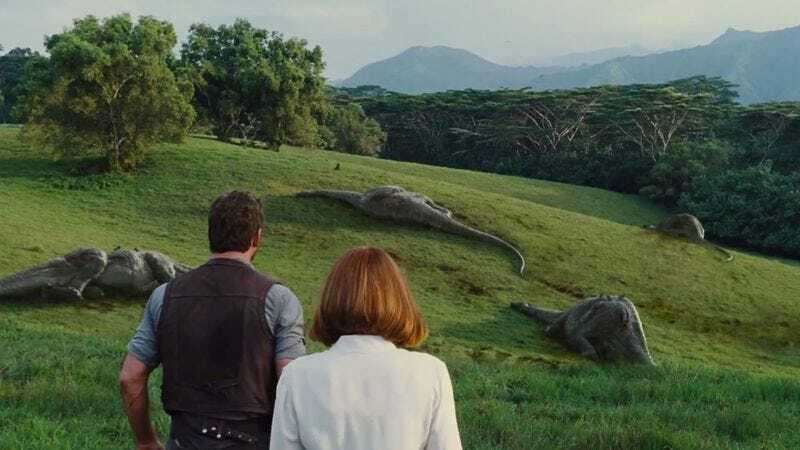 The Jurassic Park series has occasionally suggested that humans can be just as monstrous as the dinosaurs from which they flee, but so far the movies haven’t really bothered to try generating any actual sympathy for the terrible, godless beasts. That’s apparently going to change with Jurassic World 2, which Jurassic World director Colin Trevorrow says is going to be a “parable for the treatment animals receive today.” Trevorrow is specifically referring to “abuse, medical experimentation, pets, having wild animals in zoos like prisons,” and the military using “animals as weapons.” In other words, you probably should have paid attention to Vincent D’Onofio’s storyline in the last movie, which was all about using dinosaurs in the military. Trevorrow’s comments come from an interview with Spanish-language site El Mundo, and according to this translation from Time, the PETA-friendly stuff will only be the focus for some of the film. “The second part,” Trevorrow explains, “will be a very different movie that will explore new paths.” He also notes that this second part is the specific reason why he wanted The Orphanage’s J.A. Bayona to direct Jurassic World 2. If we take that comment along with what he said a few weeks ago about how he wanted Bayona to direct the film because it’s going to be scarier than the last one, then the implication seems to be that half of Jurassic World 2 is going to be a smaller-scale horror-type story. That means the beginning will probably position humans as the villains by introducing bad people who are engineering dinosaurs for combat, and then the horror elements will come into play when those dinosaurs escape into some kind of populated area. Probably.